Buttered Toast is in the June Issue of Hot Rod! 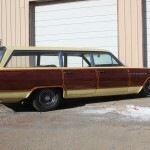 If you have been reading long, you know that Buttered Toast is our twin-turbo ’63 Buick Le Sabre wagon. 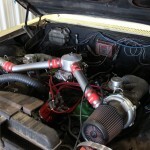 As was the original plan, the story has now been published in the June issue of Hot Rod Magazine. The story covers 3 pages starting on page 94. If you are not a subscriber (why aren’t you? ), grab a copy off the newsstand and check it out. As another note on Buttered Toast- we are planning to do a long-haul cruise on the 2012 HRM Power Tour from Detroit to Arlington, TX. The tour is stopping in our hometown of Stillwater, OK along the way. Do you want a free RDR t-shirt? Come out to one of the stops and look for badass wagon. Say hi and I will hook you up.